The Palladian String Quartet is a highly regarded professional ensemble, playing in many prestigious venues in London, Kent and the South East. They are experienced musicians who performs regularly with London’s leading orchestras. This String Quartet of highly skilled performers can perform music to make you relax and practically get you to dance as well. The Quartet members has studied at the Guildhall School of Music and Drama, the Royal Academy of Music and the Royal Northern College of Music and has played with many of London’s orchestras including the Royal Philharmonic Orchestra, BBC Concert Orchestra, London Concert Orchestra and London Mozart Players. They have performed for royalty and celebrities and has collaborated with major figures in the music world, such as Placido Domingo, Yehudi Menuhin, Nigel Kennedy and Luciano Pavarotti. 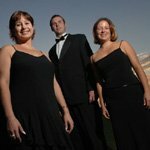 The Palladin String Quartet has graced many corporate events and celebrations as well as company dinners, receptions, birthday/Christmas/cocktail parties, anniversaries, bar mitzvahs, river trips, cruises, baptisms, reunions and exhibitions. With a repertoire ranging from classical to jazz, light, show/film, latin and pop, The Palladin String Quartet is able to create that perfect atmosphere, making your event even more memorable. We are hosting our office 20 year anniversary party at the Intercontinental Westminster on the 28th of November. Please can you email me a quote for your services for the evening (6-9 approx).